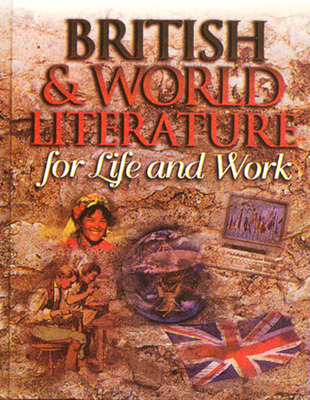 The four-volume Literature for Life and Work series continues with British and World Literature for Life and Work (Grade 12). This book challenges students to think critically, work together in teams, and reflect on universal themes by using selections from British and world literature. Thematic organization connects literature and skills with students' lives. Writer's Workshops help students develop vital academic, technical, and workplace skills. Spotlight on the Job sections discuss the use of important skills such as critical thinking and problem solving, finding and using information, and technical writing. Focus On sections integrate the cross-curricular areas of math, fine arts, history, and science.